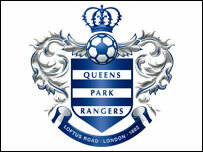 Queens Park Rangers have signed six teenagers on professional contracts with the Championship club. Danny Maguire, Matt O'Brien, Chris Arthur, Romone Rose, Josh Ford and Lee Brown have all been awarded one-year deals by the Loftus Road outfit. They all played in the Youth Alliance championship winning side last season. Youth team boss Steve Brown told the club website: "I'm delighted for them. They've earned this chance and now it's time to show they deserve to be here."